What a fantastic afternoon we had on Saturday! The families and all the dancers came together for the final workshop followed by a performance for their family and friends. 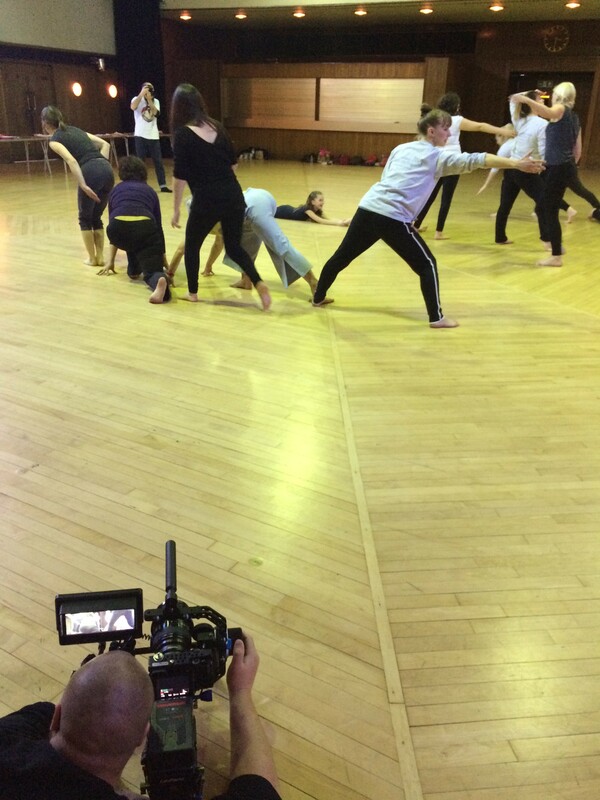 We were in the beautiful Borough Hall at Greenwich dance and were joined in the studio by film maker James Williams (Moving Productions) and photographer Gigi Giannella to capture this special moment in the project. 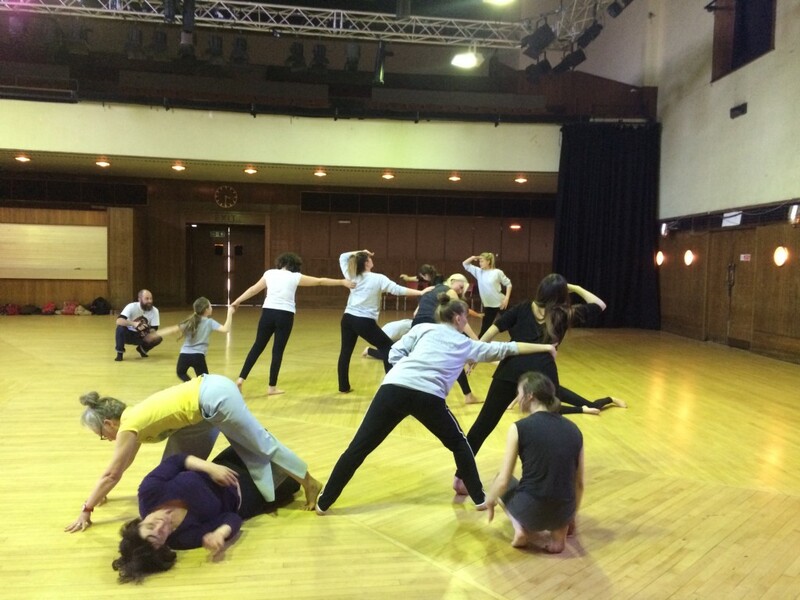 We began with a warm-up and some movement games before rehearsing the structure of the performance. As we worked together, I felt incredibly proud of this wonderful group of people; they have all found their creative voice and have grown in confidence over the weeks. It was beautiful to see all the dancers from the collective working alongside the families, dancing and laughing together! At 5pm, their families and friends arrived to watch their performance. The movement material in the performance was entirely made by the families and their ideas. Myself and the dancers set them creative challenges and helped direct them, but all of the performed movement came from them- which made this performance even more impressive! 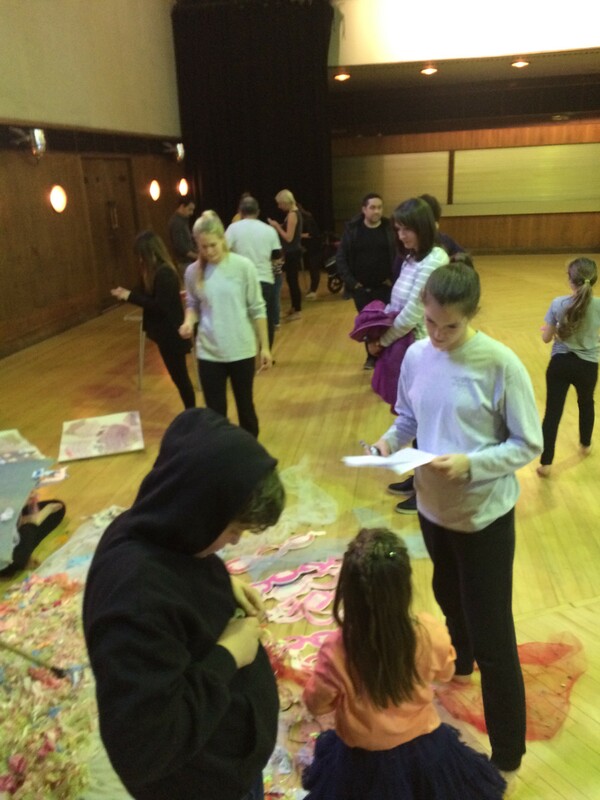 After the performance, Nicola invited the audience to participate in some crafting tasks and have their own input into her art work. It was wonderful to see the families and friends mingling and coming together after the performance and enjoying this unique combination of dance and visual art. Working with the families has been a huge inspiration for me. I have come away with so many new choreographic ideas as to how an intergenerational cast can transform the way that the story of The Princess Alice is told. I have been blown away by the creativity and open mindedness of the family group and hope that we can all work together again very soon! A huge thank you to the families involved! What have you enjoyed most about The Princess Alice workshops?